That particular movie exchange reminded me of the reported April, 2017 suicide death of former New England Patriots tight end Aaron Hernandez, following his acquittal of a 2012 double homicide charge. According to written reports and photographic evidence obtained by the Associated Press from the Massachusetts Department of Corrections via the Worcester District Attorney’s office there were more questions than answers generated. While the ‘official’ cause of death of the former NFL star has been ruled ‘suicide’, Hernandez could have been the victim of a well-orchestrated ‘gang hit’: Either by a prison faction of his present gang (to send a warning to others seeking to exit gang life); a prison faction of a rival gang (to disrespect Hernandez’s connection/representation to his Bloods gang ties–or in retaliation for the victim involved in Hernandez’s 2013 murder conviction–a conviction, it was reported that was on appeal), or simply person/persons unknown who wanted to ‘impress’, or ‘follow orders’ so that they could ‘rise’ in the prison gang ranks. 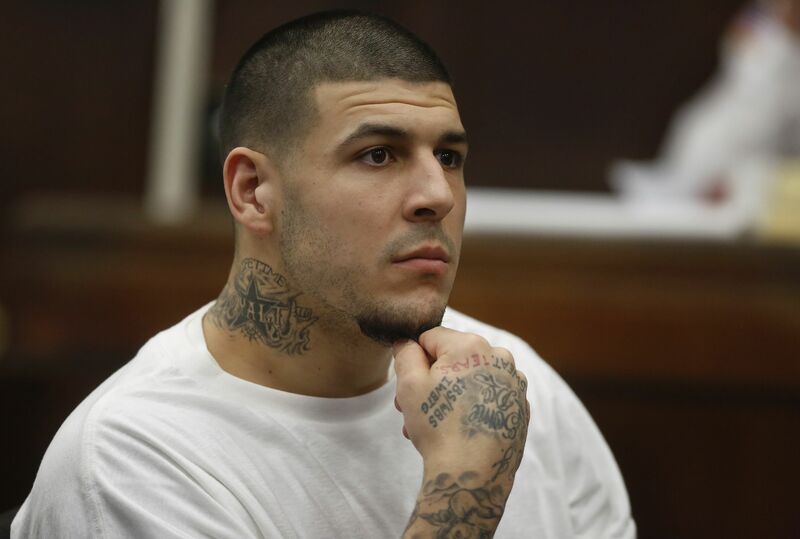 Getting into the cell to get at Hernandez…a formality? Now, as one who does have an understanding of the modern street gang scene, worked with a variety of former/present gang members; given biblical counsel to more than a few anti-gang ministries–PLUS served as a Probation Officer on many high-risk felony-level cases (some of which involved gang members) I may be slow on the uptake of certain truths–but a Hernandez suicide seems a bit shaky. Unfortunately, ‘prison suicide’ is just as much of a DOC classic (among those who know anything about corrections ‘missteps’) as ‘shot while trying to escape’. As they say in Las Vegas: SDLR–Something Don’t Look Right concerning the Hernandez suicide. Among those who truly want ‘out’ of gang life, there is an unwritten understanding that they can do so by letting their gang higher ups know that they have been truly converted/accepted Jesus Christ as their Lord and Savior–and are leaving the gang life. The old slang phrase ‘catching a butterfly’ signifies someone who wants a fresh start out of gang life, which is exactly what a new life in Christ represents. II Corinthians 5:17 well states the promise of a new life to a sinner: Therefore if any man be in Christ, he is a new creature: old things are passed away; behold, all things are become new (KJV). 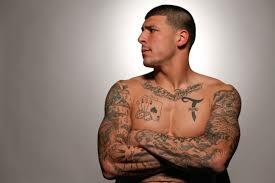 According to published information, Hernandez reportedly had become ‘increasingly spiritual’ while in prison. The ‘unwritten rule’ also holds true of gang members who are incarcerated. Yes, the ‘blood in/blood out’ propaganda exists…but one who has truly yielded their life to Christ is held in high respect, provided their conversion experience is real–and the gang DOES check to determine if it is, right down to the church the gang member attends and what is being preached! Modern street gangs DO have plants/sympathizers in some churches, even IN the pulpit! IF the soon-to-be former member was not on the up-and-up, that member could be ordered killed for ‘a false conversion’. This is the ‘usual’ punishment among many of the more ‘visible’ major gangs of our day–especially those gangs originating in and reaching out of Central or South America. Somehow, the Gospel could have been given to Hernandez and he made a decision to catch his butterfly. The ways of God are mysterious and deep. Martin Luther was converted by a Bible verse. D. L. Moody was converted by the testimony of a complete stranger. A public confession to Christ by Hernandez could have possibly been on the way…but he never got the chance to speak. In looking over some of the photo evidence released to the AP–and released in published reports through various other publications on line–there was a blood drop on the left side of the Bible verse John 3:16. That verse was reportedly written on Hernandez’s forehead…and on the wall of his cell. Corrections officials made a big deal about the blood drop, as if it was a symbol of a Bloods gang member. A news flash: IF Hernandez REALLY became a Christian and wanted out of gang life, the Bible would be the LAST book he would want to desecrate. Besides, a person who truly believed in eternal life would be the LAST person to take their OWN life. God DOES vindicate those who truly belong to Him, regardless of the passage of time. In this matter…SDLR. Ramey, a Minister, syndicated columnist and book reviewer lives in Indianapolis, Indiana. To correspond, drop him an email at manhoodline@yahoo.com. © 2017 Barnstorm Communications. Hey Buddy!, I found this information for you: "The Ramey Commentaries by Mike Ramey". 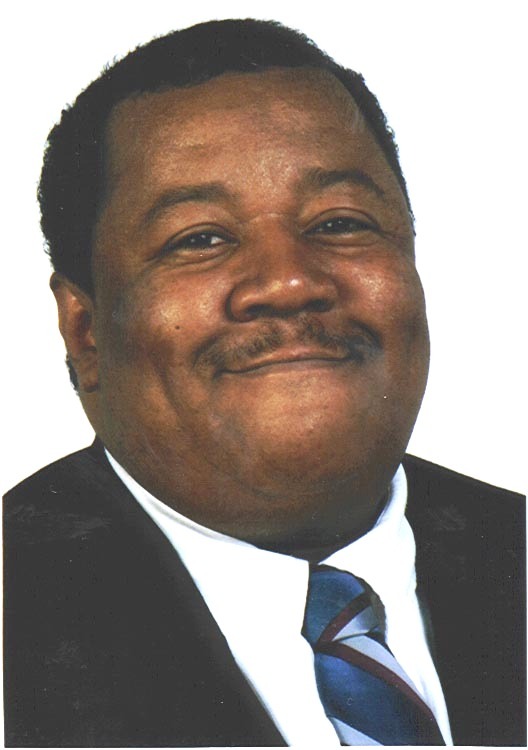 Here is the website link: https://blackmeninamerica.com/the-ramey-commentaries-by-mike-ramey-7/. Thank you.